Wirral Transport Museum is a museum situated approximately 0.5 miles (800 m) from the Mersey Ferry service at Woodside, Birkenhead, England. A vintage tram service links the museum and the ferry at certain times. Admission into the museum is free with a broad selection of vintage and classic vehicles, including trams, buses, cars, motorcycles, mopeds, bikes, and a fire engine. It also includes views of ongoing projects in the museum's workshops, a 26 feet long model railway layout, a reconstructed 1930s garage scene and various other transport-related static exhibits. 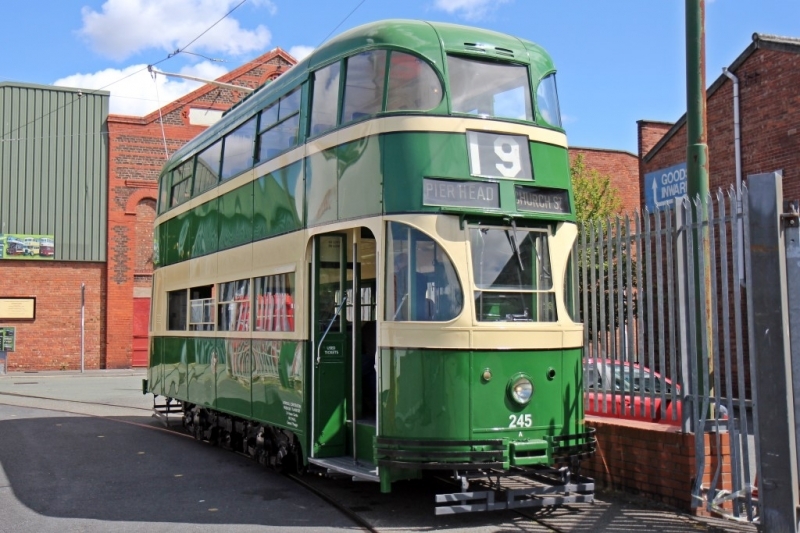 Please give us your overall rating for Merseyside Tramway Preservation Society.